Holly Salzman of Albuquerque, New Mexico went to court to resolve coparenting issues with her ex-husband. 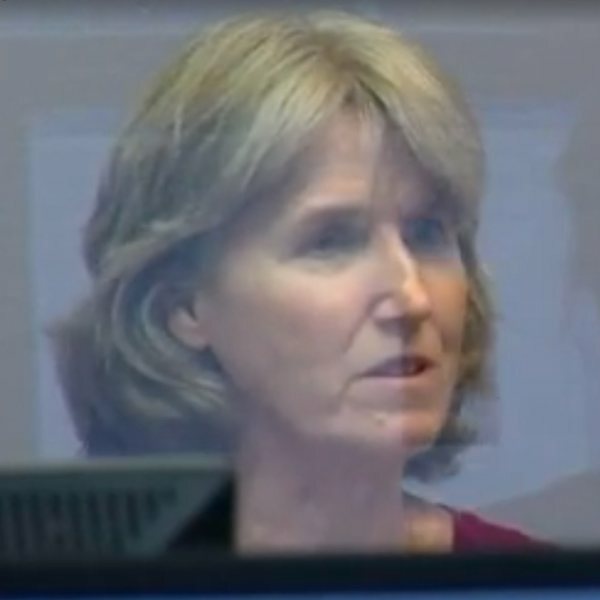 The judge ordered Salzman to attend 10 sessions with a counselor named Mary Pepper (Photo). When Salzman went to the first session, Pepper began praying out loud, Salzman objected but Pepper told her, "well this is what I do." When Salzman attended the next session, Pepper prayed out loud again and spoke at length about God. Salzman asked the court to let her see another counselor, but the court never responded. Salzman stopped seeing Pepper and the court took her sons away. In order to regain custody of the boys, Salzman would have to complete the sessions. KRQE News Channel 13 and Salzman worked together to covertly record three of the final sessions with Pepper. “That way I can keep my costs down,” Pepper said. 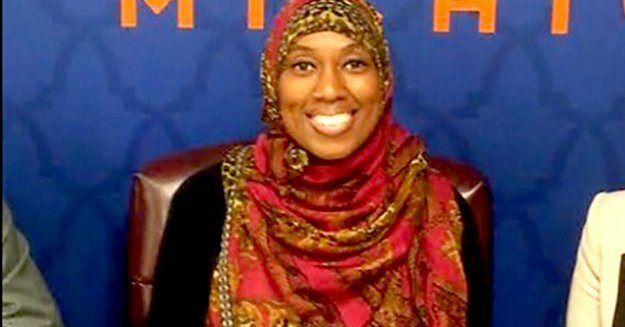 Religious freedom warrior Mike Huckabee is keeping curiously silent about the Muslim airline attendant suspended for refusing to serve alcohol as part of her job duties. 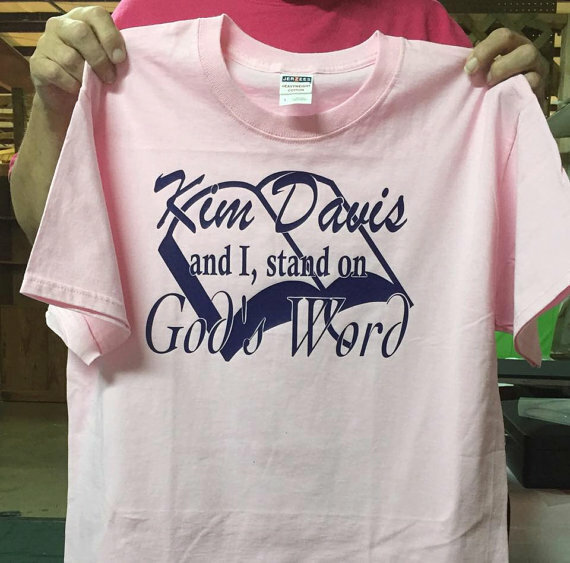 A company in Radcliff, Kentucky is selling T-shirts to support Kim Davis, the woman who is abusing her government position to force her religious beliefs on other people. The design is so hideous that the message is as incomprehensible as Mike Huckabee and Ted Cruz's defense of Davis' actions.